Shay Mitchell joined Jennifer Lopez and Sophie Turner at producer Jennifer Klein’s Day of Indulgence Party in Brentwood, California, on Sunday. The 29-year-old actress gave us serious summery vibes in a Flynn Skye “Bella” off-the-shoulder maxi dress with a vibrant red floral print. Shay rounded out her beachy look with dark sunglasses and a soft pink lip. The “Pretty Little Liars” star achieved the casual yet glam LA style with a gold Chanel quilted purse and a pair of tan leather Valentino “Rockstud” sandals with chunky heels. 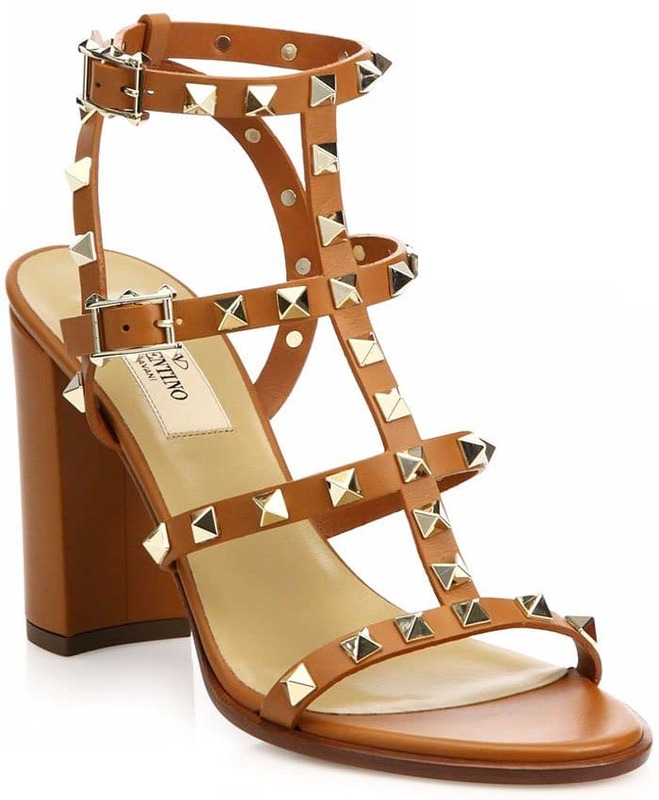 Valentino is clearly still obsessed with its “Rockstud” shoe style. Shay Mitchell’s own pair even comes in two heel heights: a 2.25-inch version and a taller 3.5-inch version.